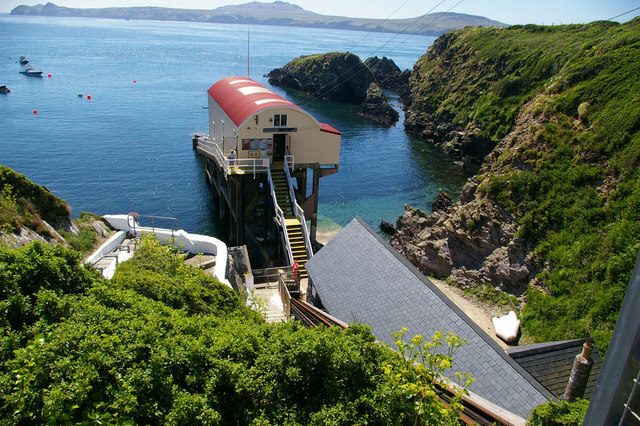 RNLI St Davids lifeboat station, Link is near St Justinian Pembrokeshire. The current fleet is Tyne class Garside and D class Myrtle and Trevor Gurr. Previous boats Link (Archive Link ) have been the AUGUSTA 1869-1885, the GEM 1885-1910 Link the GENERAL FARRELL 1912-136,SWN-Y-MOR 1936-1963, JOSEPH SOAR 1963-1985, RUBY & ARTHUR REED 1985-1988. The CHARLES HENRY ASHLEY from the relief fleet also spent time at St Davids.